When Steve Brown, owner of Ephrata’s best known restaurant, Lily’s on Main, took over the Ephrata Main Movie Theater back in January, he had plans to expand beyond movies into live entertainment. Luckily for us, his plans have panned out. 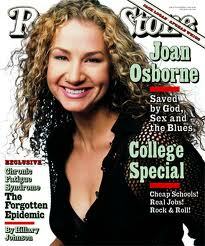 Performances are starting next week with a BIG intro act… Joan Osborne… that’s right, a 6-time Grammy nominee is coming to EPHRATA! Steve’s plan is to book “mid-level” acts that are too small for American Music Theatre and too big for the Chameleon Club at the 193 seat, historic theater. Here’s a list of the performers currently booked to play the Ephrata Main Theater, along with some videos to give you an idea of what’s in store. To book you tickets to one or all of these performances, click here. And don’t forget, the Smithton Inn Bed and Breakfast is only a mile away, so you can catch the show & then spend the night! August 23rd doors open at 7:00 pm; music starts at 8:00. The Ephrata Main Theatre proudly debuts our first music concert with 6-time Grammy nominee Joan Osborne in a Special Acoustic Duo Performance. This intimate acoustic show will feature Joan’s soulful singing and guitar while accompanied by her piano player, Matt Morris. NOTE: These shows take place during the Ephrata Fair. This very popular event is the largest Street Fair in Pennsylvania. Details and schedule are here: http://www.ephratafair.org/ Allow yourself a little extra time to get to the theater since the fair is right in front of it. Better yet, come early and check out the fair. 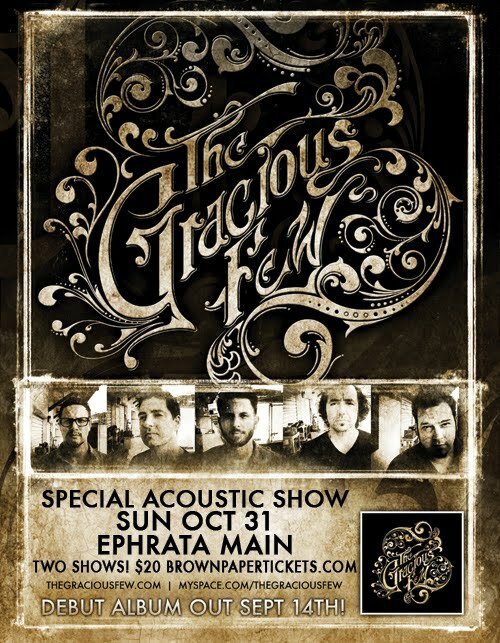 This is the first acoustic concert from America’s newest super group The Gracious Few. This band features Chad Taylor, Chad Gracey and Patrick Dalheimer from York PA’s 25 million album selling rock band LIVE and Candlebox’s lead singer Kevin Martin and also from Candlebox, Sean Hennesy. This show is guaranteed to bring many special moments.